Yes, I do understand that this tee is not for everyone…but, they are really funny. 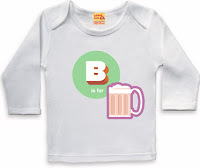 For a good laugh, check out the entire alphabet set…unless you are easily offended by somewhat X-rated pictures on kids tees. The site has tons of other funny things too; I especially love the worry pillow. so funny – i wish i had the nerve to send zachary to school with that shirt!